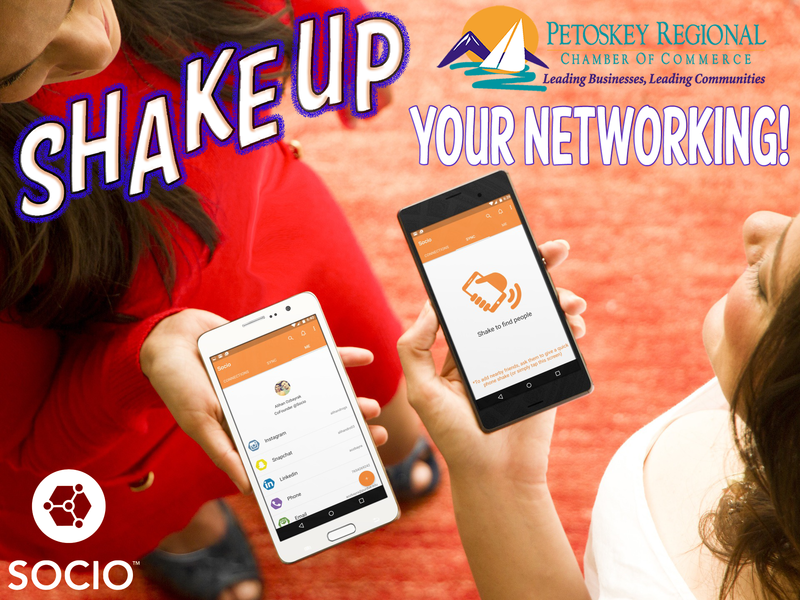 The Petoskey Regional Chamber of Commerece is proud to provide its members with an innovative “Digital Handshake” mobile application. The mobile app is designed to deliver unrivaled networking and member engagement. With its Shake & Connect technology, Socio App provides an unrivaled networking experience to event attendees. Attendees simply Shake their phones to share contact information more completely and efficiently than ever before. By using the app, attendees optimize their networking opportunities by having real-time visibility of who is at the event and what they do. Socio is your ultimate connection tool! It gets rid of the hassle of exchanging contact information by linking your email, phone number, and social media accounts to a single profile and allowing you to connect with others by shaking your phone or sharing your Socio profile. Harness the power of digital marketing and take your business marketing to a new level!